Known to friends and clients alike as “Jarnie”, Jane Birmingham graduated from TAFE Katoomba in 2004 with a Diploma of Remedial Massage. Since then she has dedicated herself to developing effective remedial massage techniques in order to better serve a growing number of loyal clients throughout the Blue Mountains and beyond. 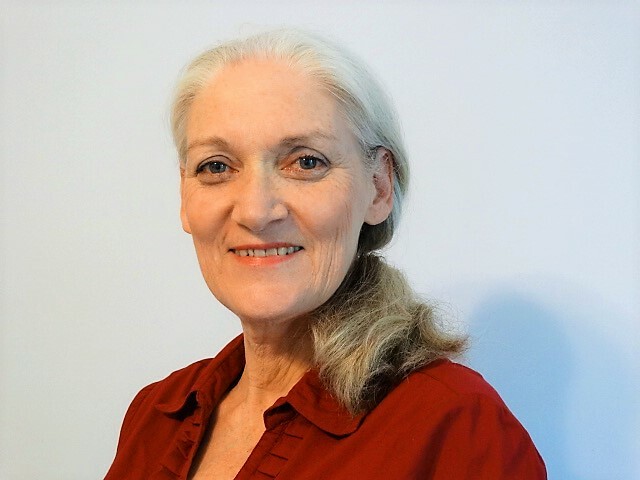 Originally from a performance background, with a BA in Drama, Mime and Modern Dance, this therapist has made the transition to remedial massage practice naturally, and her clients benefit from all those years of personal and practical experience in bodywork and muscle maintenance. in order to help ease dysfunctional muscles by resetting the whole fascial system, thus giving clients better body awareness, comfort and range of motion. Massage can be even more effective when combined with regular yoga practice, swimming and pilates training. Trigger point therapy is also a very important part of the “Birmingham Method”. Sometimes painful short circuits inhibit muscle contraction. Here she will use a controlled pressure to gently release them, allowing the muscles to normalize again. Jarnie’s massage has helped many young women during pregnancy, making stressed mums-to-be much more comfortable throughout. Postnatal treatment is also important for a smooth and trouble free return to normal activity. For those with chronic pain or discomfort in back, neck, shoulders, hips, legs, arms, feet, hands (in fact any muscle or joint in the body) there is hope of recovery. You can look forward to pain relief along with better comfort levels, strength and flexibility.